Mordechai grew up in Schenectady, NY, and attended the University of Rochester and spent a year in Israel learning at Yeshivat Bat Ayin. 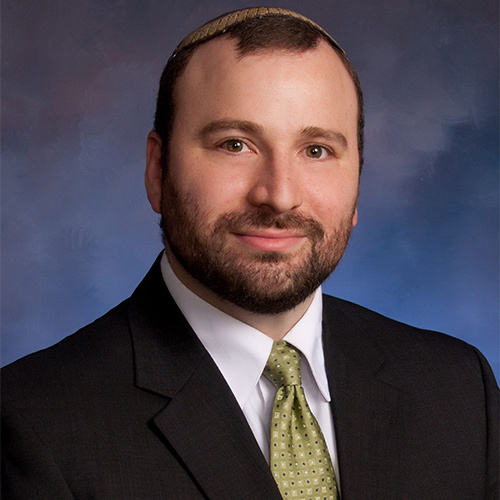 His career in NCSY spanned a decade, culminating in his position as the Associate Regional Director for Upstate NY NCSY. During the summers, he worked as the director of Keshet’s special needs integration summer program at Camp Moshava in Wisconsin. While learning at YCT, Mordechai served as the Youth Rabbi at Hebrew Institute of White Plains and as a wrestling coach for MTA – Yeshiva University’s High School. Along with his wife Nisa, they served as the JLIC Fellows at SUNY Albany, a partnership between the Orthodox Union and Hillel International. Mordechai, Nisa, and their three daughters, Pliyah, and twins Aura and Emunah live in Memphis, TN, where Mordechai served for 4 years as the Assistant Rabbi of the Baron Hirsch Congregation, assisting the Senior Rabbi in all aspects of synagogue life, while focusing primarily on Youth and Young Professionals. He currently serves as the Director of the Center for Jewish Living and Learning at the Memphis JCC.